Fine. May have slight wear to corners. One of my favorite books! Full of surprises that you won't see coming. You feel as if your experiencing and feeling everything Katniss is. You can relate to some of the characters. When I finished it, I instantly went and started the second book, Catching Fire. I can see why it became a best-seller. I highly recommend it. Even the reluctant readers will love this book. read the book and loved it. As so many others, I found the book to be very entertaining and a fast read. It's an interesting look into a possible future and into multiple characters' natures and personalities. There is the right amount of action and thought provocation. The book was in good condition. The story line was not hard to follow and was interesting throughout. I do not know if I will read the sequel, but probably will. Suzanne Collins wrote a fantastic book filled with action, adventure, and a little romance (the perfect teenage appeal!) I could not stop reading it, and I'm looking forward to reading the next two books. A wonderful read. 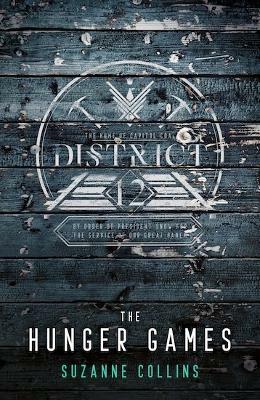 I have never gotten chills while reading a book, until I read the Hunger Games series. I fell in love with the characters and could not put the book down. The story line is genius and always left me wanting more.